While the week before was largely celebratory with a three-day local festival plus Valentine’s Day, this past week has been all about work as we prepare for the rapidly approaching end of the school year. While I am a classroom teacher (high school level in the Intensive English Programme this term), I am first and foremost an administrator. This means that in addition to preparing the students for their final exams and assessing them in a number of different categories, I also am in the middle of organizing various activities such as multiple-day English camps, school Open Houses, student entrance interviews for the next school year which begins in early May, and making sure that our current teachers are up-to-date with their own assessments. Since a number of them will return to their home countries soon after the school year ends, new teacher recruitment and interviews are in the near future. Add in the retirement of our head teacher and the impending relocation of my agency’s offices from the basement of a shopping mall into a compound of heritage buildings in the Old Town district will leave very little time for stamps in the immediate future. 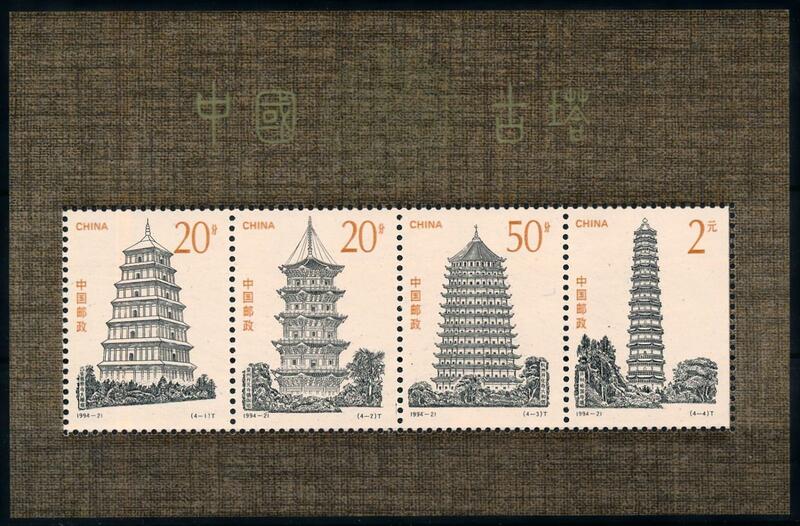 People’s Republic of China – Scott #2548a (1994) Ancient Pagodas souvenir sheet; ASAD article #970 today details the Iron Pagoda on the 2-yuan stamp from this set. Yet, somehow I will find the time to relax with various philatelic pursuits. With today’s article on A Stamp A Day, I am now 30 posts shy of 1,000. I have long planned to take a hiatus from that blog once I hit one thousand articles. I have not missed a single day since July 1, 2016, and preparing for each one does take a significant amount of time each day. While taking a break from ASAD, I will attempt to get caught up on my New Issues pages (falling further and further behind right now) as well as such set-aside endeavors as cataloguing, creating album pages (both virtual and physical), and perhaps a bit of soaking and sorting as well. Another detriment to stamp activities recently has been the current heat wave we are experiencing here in southern Thailand. It has been hotter than I have experienced in nearly 15 years of living in the tropics. I am seriously thinking of moving to a (much more expensive) location so that I can have in-home air-conditioning. I haven’t been able to sleep well due to the heat and even sitting at the computer for any length of time one becomes coated in sweat. It is not comfortable at all. Rather than sitting and writing, I find that I am positioning my laptop between my floor fan and ceiling fan and laying down to read. A few of the many stamps, sheets, etc. to be released by Great Britain on March 14 picturing Marvel Comics. There didn’t seem to be much in the way of stamp news over the past week. I think the most significant “event” was Royal Mail’s surprise announcement of a huge set (including expensive prestige books, sheetlets galore and more) depicting Marvel Comics characters. I have yet to find a single stamp blog that has mentioned these stamps in a positive manner. The British issue (due March 14) just looks like a complete money-grab to me; a block of four probably would have been sufficient for the subject matter. I never really cared for comic books growing up and have tired of seeing such designs grace a nation’s stamps. These stamps hold zero interest for me although I did learn the names of a few characters I’d never heard of before (Captain Britain?). 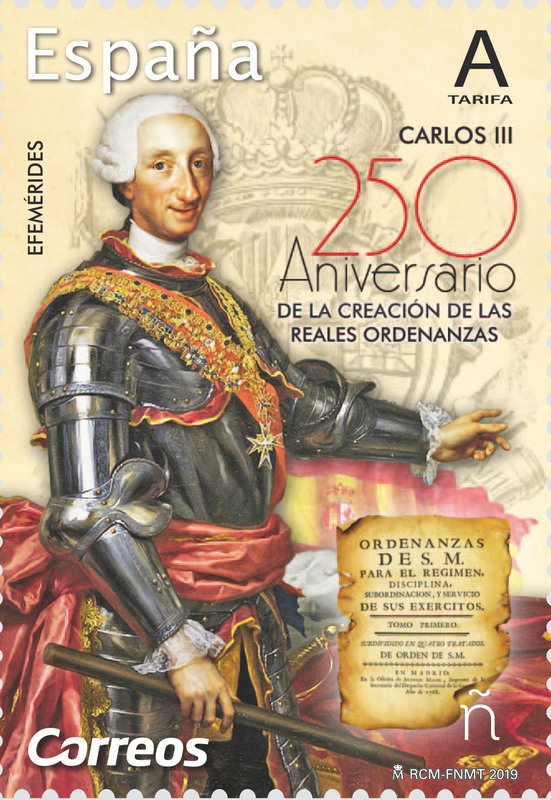 Much more to my liking is a single stamp released by Spain this week commemorating the 250th Anniversary of the creation of the Royal Ordinances of Charles III. The Correos website has a nice write-up in English for a change. The only thing remotely philatelic I received in the mail this week was my first Postcrossing postcard of 2019. It came from the Netherlands and the stamp didn’t get postmarked. Hopefully, the next one will be a bit more interesting. Thus, we come to the end of this week’s “Phila-Bytes”. I am contemplating a name-change to something like “The Week in Stamps” or “My Philatelic Week”. Hopefully, I can find the time to brainstorm….